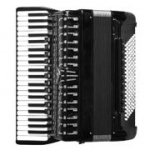 Video of the amazing handless accordionist playing on the street. Everything is possible if you really want it. 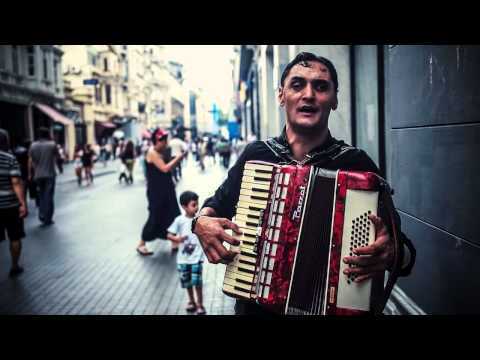 Video of Stanescu Florin singing and playing accordion in Istanbul July 18, 2014. 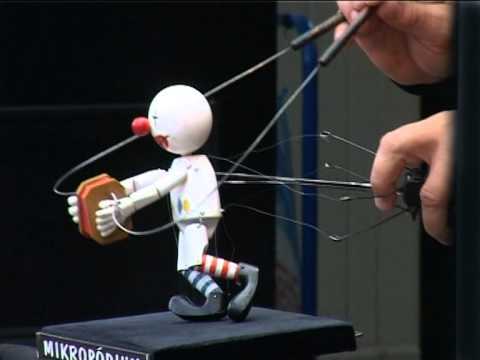 Video of awesome street performer with a puppet accordionist. 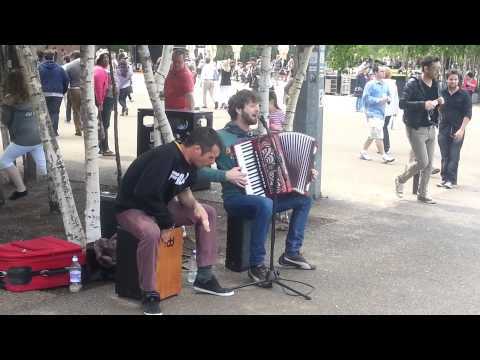 Video of two buskers (accordion & cajon) performing Numa Numa cover. 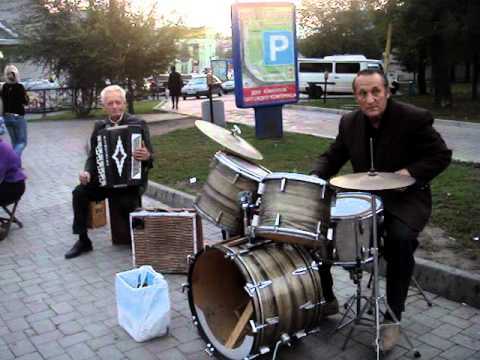 Video of accordionist and drummer on the street of Russia. 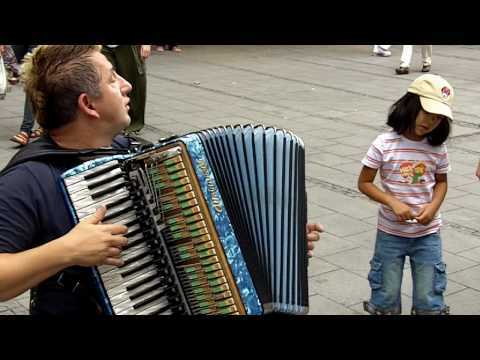 Video of street performer Ivan Hajek busking with his accordion in Munich (Germany). Video with headless accordionist. Tunes played in this video: "Pas Si Simple" by Yann Tiersen, "Pietro's Return" by Pietro Deiro, "La Valse D'Amelie" by Yann Tiersen. 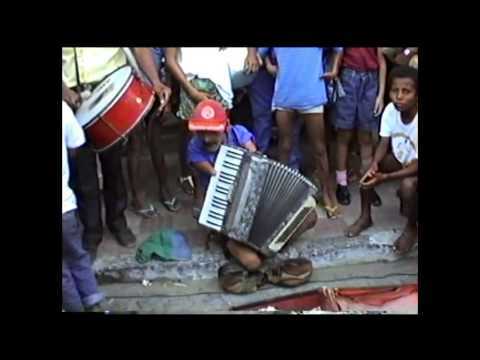 Short documentary about accordion busker Dillard Lockhart. He has been playing Accordion on the corner of Sutter & Stockton in San Francisco since 1993. Video length: 15 minutes.